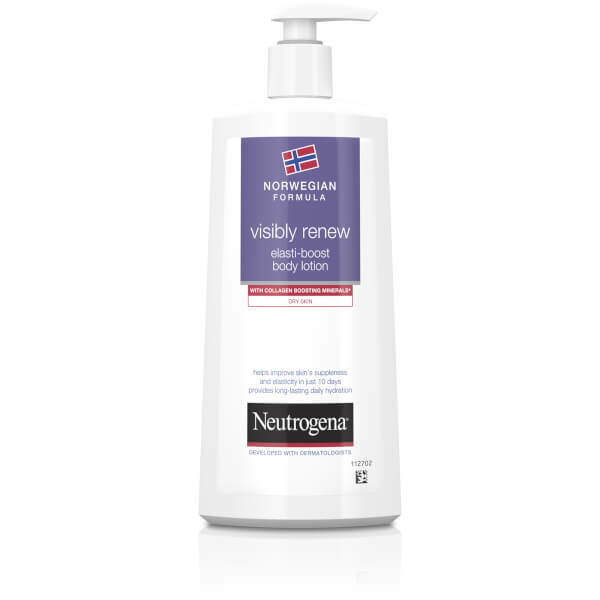 Transform the look of your skin with Neutrogena Norwegian Formula Visibly Renew Body Lotion, a daily body moisturiser that delivers long-lasting moisture whilst improving the appearance of skin firmness. Non-greasy and fast absorbing, the lotion melts effortlessly into skin, instantly hydrating and comforting whilst restoring elasticity for visibly improved results. Its dose of active minerals contribute to a boost in skin's own collagen production*, which helps promote a firmer, younger-looking silhouette. Skin is left silky, supple and delicately scented.